Baobao Zhang is a PhD candidate in Yale University’s Political Science Department, a research affiliate at the Center for the Governance of AI, and a Kerry Fellow at the Yale Jackson Institute for Global Affairs. 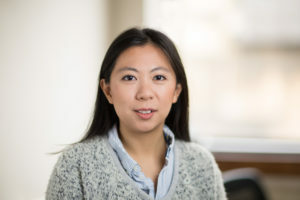 Her current research focuses on public and expert opinion toward artificial intelligence and how the American welfare state could adapt to the increasing automation of labor. Her previous research covered a wide range of topics including the politics of the U.S. welfare state, attitudes towards climate change, and survey methodology. Her papers have been published in Political Analysis, Nature Climate Change, the Journal of Artificial Intelligence Research, and JAMA Surgery. Her research and graduate education have been funded by the National Science Foundation Graduate Research Fellowship, the Yale Institution for Social and Policy, and the Ethics and Governance of Artificial Intelligence Fund. She worked as a data scientist for the Yale Project for Climate Change Communication from 2015 to 2017. Midwest Political Science Association conference | Topic: Automation and economic anxiety | Chicago, April 2018.